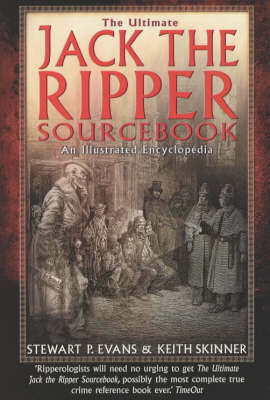 Two experienced Ripperologists have applied their joint knowledge and expertise to the painstaking collation of all the known official records to produce this ultimate Ripper book - a narrative account of the murders encompassing all the known evidence. The most complete work on the Ripper case ever, it contains: the entire contents of the Scotland Yard files covering the full series of murders; extensive press reports; witness statements and extracts from police notebooks; and, documents missing from the official files and many rare photographs. "The Ultimate Jack the Ripper Sourcebook" is not only an invaluable reference, but is also a compelling account of the Victorian serial murderer whose identity remains one of criminology's greatest mysteries.